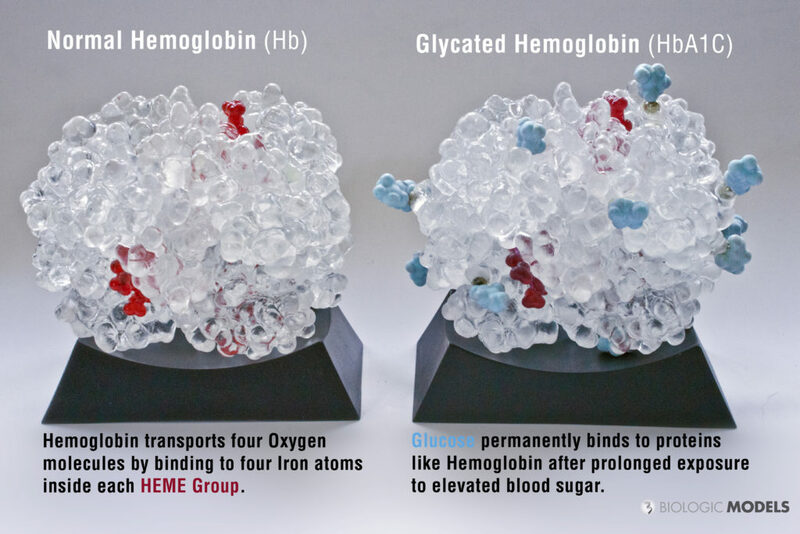 Elevated blood sugar attaches to hemoglobin Hb, the protein inside red blood cells. 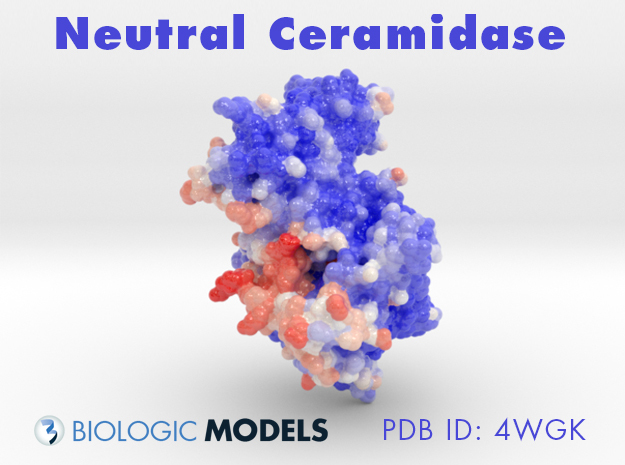 Use a 3D printed protein model of Glycated Hemoglobin HbA1c to explain the HbA1c diabetes blood test. Biologic Models has a variety of Hemoglobin based models. In specific, we have two types of Glycated Hemoglobin A1c and Healthy Hemoglobin, each in different materials and sizes. Please see the description below to learn more about each product. 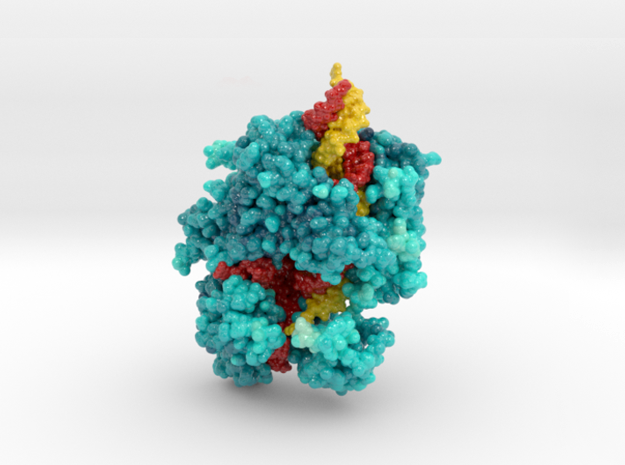 This is a 3D print of Glycated Hemoglobin (HbA1c), created from PDB ID: 3B75. The globulin chains (2x A,B) of this model are colored white, HEME groups red, and Oxygen Molecules Blue. 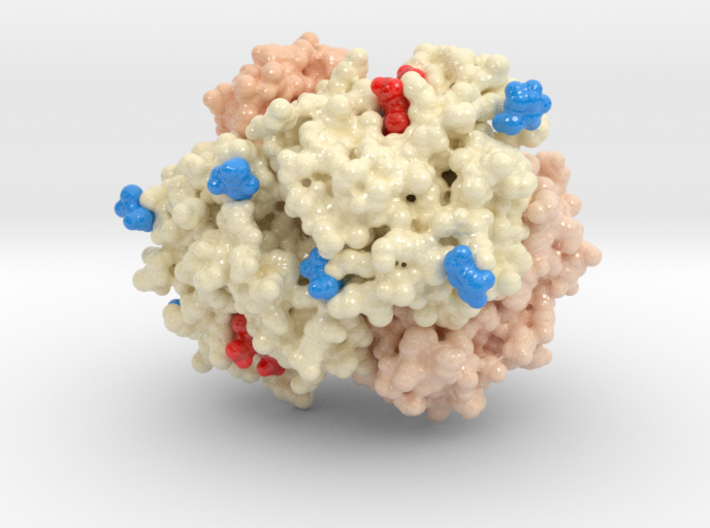 This model also visualizes the HbA1c diabetes blood test by showing how sugar molecules (cyan) attach to proteins changing their shape and decrease its functionality. 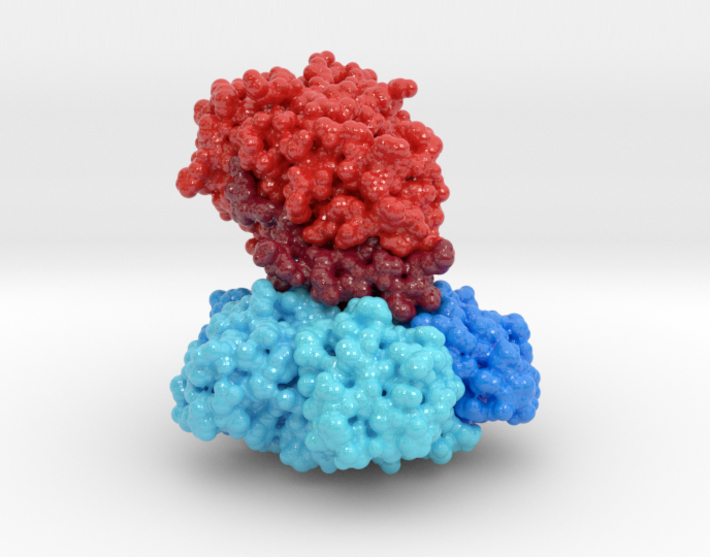 Based on simulations of potential glycation sites, we have isolated the Lys binding residues (medium Grey) and attached sugar molecules. When compared to our normal Oxygenated Hemoglobin (Hb), you can quickly explain both what the HbA1c blood test examines, as well as why it is so important for patients to control their blood glucose.